A few years ago, before the launch of Huawei Mate 20 or 20 X and other Android smartphones, we were all talking about how BlackBerry and iPhone devices are so secured to a point that their real owners can track who is using it when stolen or lost. In some cases, the phone might just be unusable to whoever found it until the rightful owner unlocks the device which most times have to do with him/her signing into the earlier setup (email and or password) account of that device. 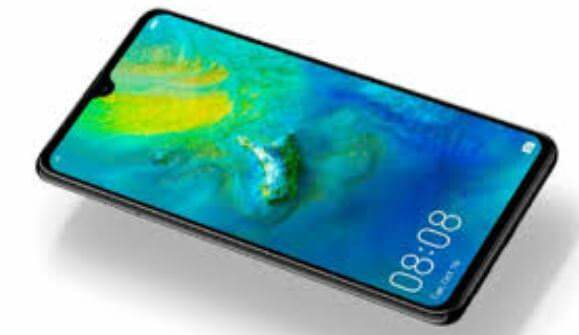 Android – the leading choice of most smartphones operating system out there has finally joined the league to make users device (like Huawei Mate 20 or 20 X) super secured from theft or just unusable when it gets lost. But the truth is most times lost or stolen isn't the case. Rather, it is passed on to a friend, family or sold out as fairly used without the initial user unlocking and removing their setup Google Account (even after a factory or hard reset). I will show you a few steps to follow on how to bypass Google Account (FRP) on your Huawei Mate 20 or 20 X but first, let me explain what FRP means and how it works. What is FRP on Huawei Mate 20 or 20 X Android OS device? FRP simply means factory reset protection also known as data protection of your Huawei Mate 20 or 20 X or any other Android device. It is set up with your sign in Google Account. Step 1: The user should slide down or locate and press the settings on the icon on their Huawei Mate 20 or 20 X home screen. How to remove or bypass Google Account FRP on Huawei Mate 20 or 20 X? There are basically two methods to bypass a Google Factory Reset Protection (FRP) on Huawei Mate 20 or 20 X. Like I mentioned earlier: most times Android phones like Huawei Mate 20 or 20 X are passed on to a friend or family which means if you tell them about method one (1) you won't have to apply the final option – method two (2) that bypasses FRP lock. · Click here to read the full steps of this method to successfully bypass the FRP on your Huawei Mate 20 or 20 X. · Setup an auto or carry out a manual backup regularly of your Huawei Mate 20 or 20 X following our guide here with data or Wi-Fi connection. · You can also backup your Huawei Mate 20 or 20 X offline – without internet connection following the steps provided here.